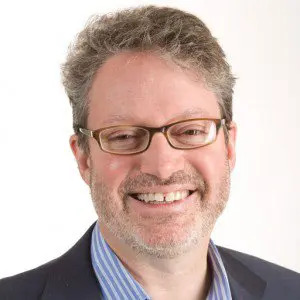 Marc Freedman, CEO and President of Encore.org, is one of the nation’s leading experts on the longevity revolution. He is a member of the Wall Street Journal’s “Experts” panel, a frequent commentator in the media and the author of four books. The New York Times described his most recent book, The Big Shift: Navigating the New Stage Beyond Midlife, as “an imaginative work with the potential to affect our individual lives and our collective future.” His new book, How to Live Forever, will be published by Hachette Book Group in Fall 2018. Freedman was named Social Entrepreneur of the Year by the World Economic Forum, was recognized as one of the nation’s leading social entrepreneurs by Fast Company magazine three years in a row, and has been honored with the Skoll Award for Social Entrepreneurship. He has been a visiting scholar at Stanford University, the David and Lucile Packard Foundation, and King’s College, University of London. Freedman serves on the boards and advisory councils of numerous groups, including The George Warren Brown School of Social Work at Washington University in St. Louis, the Stanford University Distinguished Careers Institute, the Milken Institute’s Center for the Future of Aging, and the EnCorps STEM Teachers Program. A high honors graduate of Swarthmore College, Freedman holds an M.B.A. from the Yale School of Management. He resides in the San Francisco Bay area with his wife, Leslie Gray, and their three sons. Learn about Marc’s books here.